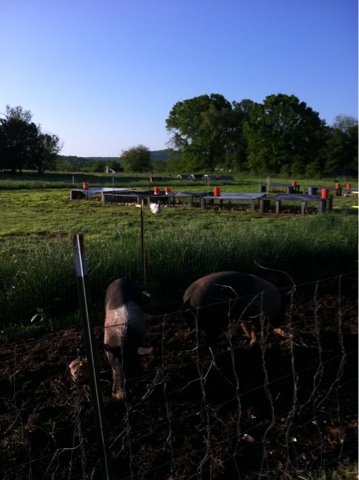 All in rows..pigs, chickens, vegetables, sunshine. We continue to experiment everyday with milk from the cow. Extraordinary what one gal can produce. I'm talking about the cow of course! The soft fresh cheeses we have made are setting up too tight. We need to get them softer and creamier and will keep experimenting. And weeding, packing eggs, feeding pigs and all the other fun stuff!